Under this title a symposium was presented at the Society’s Conference at Norwich last year. Here we print the substance of what each speaker said on that occasion (or, more accurately, what he would have said had time allowed). When people first started talking about ‘modern hymns’ in the late 1950’s they usually meant that they had found a 1930’s ballroom number for ‘Holy, holy, holy’ or a 1940’s pantomime tune for ‘The Church’s one foundation’. There were few new texts to challenge the mind, and most of the ‘modern’ tunes were ephemeral. Today, less than twenty years later, we look back on an almost extravagant springtime of hymnody which shows no sign of ending. To paraphrase Fred Kaan’s harvest hymn, we can give thanks ‘for the joy and abundance of crops’ in both words and music. I want to suggest two ways in which the new words challenge us, taking examples from New Church Praise. fill all our lives with your fire. the child upon a mother’s knee. the secret of that life laid down. you claimed your victory and died. Of course, he can share our emptiness only if he is not dead but alive. But in his risen life he still shares our emptiness, and suffers with us. our Saviour with the father reigns. As this quotation suggests, the second challenge of contemporary words is to bring the world to church with us. Some critics mistake this for a call merely to sing about the modem world, and abandon all that is distinctive in our faith—‘I don’t see why we should sing about concrete, steel and formica. I’d rather sing about Jesus Christ.’ Not only is this a false antithesis, but it also conceals, I suspect, a nostalgia for an illusory past in which birds, bees and waterfalls reigned supreme, and the hard realities of oppression, poverty and racism could be forgotten or ignored. The challenge of contemporary words is, however, quite different. It is to sing to the Lord from the real world in which we live. It is to seek peace and assurance, not by escaping to church on Sunday, but by standing back from the pressures and the pain of life at the same time as we bring them to the Lord. Jesus does not give us peace as the world does it, but in and through our openness to the twentieth century. The explosion in hymn-writing has come about because the majority of worshippers want to be able to bring their fears and hopes about the world to the Lord. Once again, many will do so unawares, not because the scenery of twentieth-century Britain jumps off the printed page and hits them on the nose, but because the best new words allow them to bring their present-day experience unobtrusively into the centre of their prayer and praise. derive from you, their source. Such words beguile the traditionalist yet allow the O-level physicist or Sunday-supplement reader to sing about creation and evolution with precision and integrity. and street-lamps that twinkle in rows after dark. in towns and in cities is pleasing to thee. Most of us, when we look back on a week, can recall occasions when calm was interrupted or the unexpected disrupted our plans, and the memories are often a cause for confession. By placing these words in a hymn, Fred Kaan invites us to anticipate these occasions, and perhaps better prepare for them. Few of us could think such thoughts as clearly if we had not been helped by the words of the hymn. if from his helplessness he hates my help. he struggles for the changes that I fear. no words without deeds that are done. and nature its lost unity. turn us towards our brother’s need. I shall sum up this discussion with two quotations and a piece of instant doggerel. In November 1960 I wrote to Erik Routley, asking his advice on how to write words for new hymns, and enclosing a first shot in pentameters(!) Which has thankfully remained unpublished and unsung. He wrote a masterful letter which was a decisive influence in helping me to understand what hymn-writing is about, and which I’m glad to acknowledge. One of his epigrammatic sayings was that ‘the great glory of God and the contemporary need of man need to be made to collide in modern verse, just as they collided in people like George Herbert—only there the need was not social but personal’. The best modern texts foster precisely that sort of collision, and we are the better for them. My second quotation is from Mao Tse-Tung, who said of revolutionary leadership that ‘we must give back to the people clearly what we have received from them confusedly’. These words aptly apply to the relationship between the hymn-writer (or hymn-chooser) and his or her congregation. When I write a hymn I am not going on an ego trip of poetic imagery, but trying to express clearly what others already know confusedly. Yet I am not seeking a lowest common denominator but trying to give a lead in showing what that clear knowledge is. that’s true for me, though it wasn’t till I read it. I take my brief to be ‘The Musical Challenge in Recent Hymnody’, so far as it concerns what average congregations may reasonably attempt. Do we glimpse here two tests that apply to any part of Worship—to any hymn tune, old or new, solemn or light? Neither test, you will notice, is ‘do the people like it?’, or even ‘is it beautiful?’ The first asks bluntly whether this or that tune, with its words, really does help us ‘to open our hearts to God’ and ‘to fix our thoughts upon Him’. Obviously it can’t do this if it is too difficult for the people, or if they have not been given enough chance to learn it; and I suspect that it may also fail if it is too much of a beguiling and catchy musical experience. The second test is implicit in Temple’s words ‘utmost concentration’. Does our tune demand from the congregation a worthy effort of mind and spirit as well as of voice, or is it—as in some light-music examples today—so primitive and derivative that it underestimates the musical powers of almost all who are asked to sing it? In our new hymnody we expect to find hymn-texts that are challenging. In providing tunes we shall diminish the role of music if we think that its case is different—that the tune is no more than a vehicle for the words. A worthy tune is itself an utterance (think of the world’s great instrumental melodies), with a musical ‘meaning’ for mankind, and this, as well as the meaning of the words, must be evaluated. It is the two meanings together that must call for our ‘utmost concentration’ in Worship—neither of them dominating, or failing, the other. I have put these general expressions of ‘challenge’ first, because the musician, no less than the author, must be alert to them. We must now pass to more specific demands in today’s busy scene of hymnody. The very busy-ness, the profusion, of new congregational music has itself become a challenge, but it is one to be accepted willingly, for such activity is a welcome sign of life. And the challenge is all the greater because the ‘spectrum’ of acceptable musical material is now broader than ever—highbrow, lowbrow, and everything in between, with good and less good of every kind. Those interested in the highbrow end will have combed The Cambridge Hymnal and the new tunes in The Church Hymnary, 3rd edn (one by Kenneth Leighton is in our 1973 ‘Act of Praise’ booklet). At the opposite end, having rejected the nothingness of ‘Kum ba ya’, we can well use songs as good as ‘Sing Hosanna’ (New Church Praise 26), which say simple but profound things in a simple and infectious way. The middle of the spectrum has plenty of good tunes that use familiar musical resources without sounding at all Victorian or Edwardian or even folk-songy. 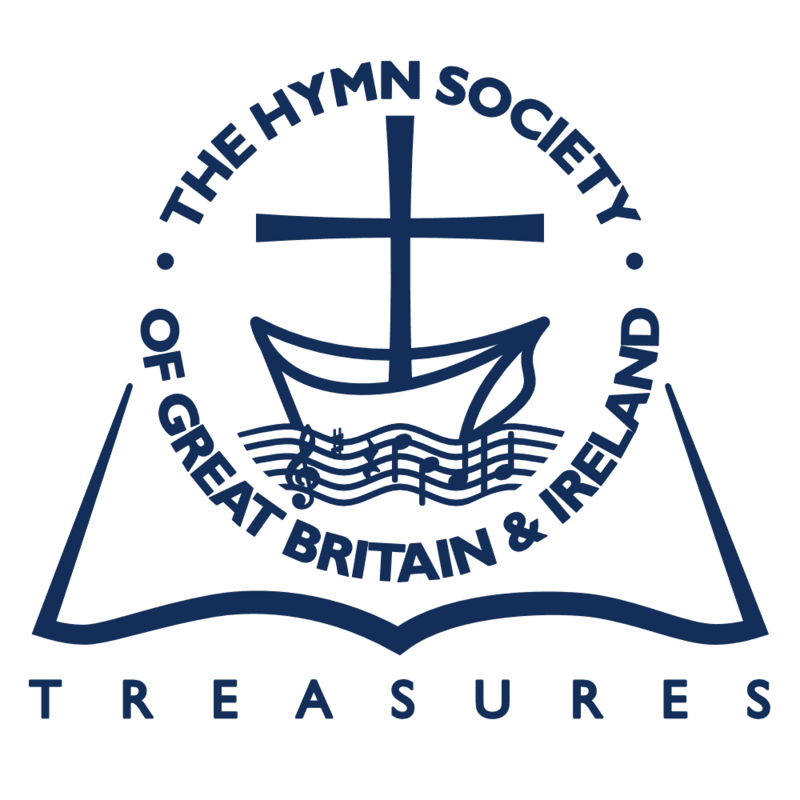 Typical of this group are 100 Hymns for Today, 7 and 99; Hymns & Songs, 21 and 74; Praise for Today, 21, 31, 35, 45, 93 and 99; New Church Praise, 22, 27, 53, 60 and 71. Some of these are in more than one of the books, and several are also in the RSCM’s Hymns for Celebration. There are good things, too, in intermediate positions along the spectrum. On the highbrow side of centre we could place John Gardner’s modern-medieval ‘ILFRACOMBE’ (HCS 101, H&S 20), Michael Dawney’s moving ‘FELINFOEL’ (New Catholic Hymnal 209), Peter Cutts’s haunting ‘SWITHEN’ (NCP 108), and Richard Dirksen’s bracing ‘VINEYARD HAVEN’ (now on its way here across the Atlantic). And on the lighter side of centre there are tunes like ‘JONATHAN’ (H&S 85), ‘TROTTING’ (H&S 92), ‘LITHEROP’ (NCP 52, and others in that book), and more than one tune by Doreen Potter in Fred Kaan’s new collection Break not the Circle (published in U.S.A. but obtainable from The Tavistock Bookshop, 86 Tavistock Place, London WC 1). The biggest challenge, then, if you have not already met it, is to get acquainted with all these eligible things—to be catholic with a small ‘c’ and then, with Temple’s words in mind, Discriminating with a large ‘D’. The rest of the musical challenge is one of ways and means, which obviously takes us towards Alan Luffs ‘art of the possible’—though I would prefer to call it ‘the urgency of the possible’. An unfamiliar prayer or reading can be a stimulus and an inspiration to the worshipper, and so can a new hymn-text; but an unfamiliar tune is seen as a stumbling-block. May I say from experience that it may not be nearly as much of a stumbling-block as you might think? Musical education has made great strides, and there is now hardly anyone under 40 who did not have some acquaintance with musical notation at school. With the help of the melody-editions now regarded as normal, the response of a congregation can be surprisingly rapid and rewarding. I mean the initial musical response: please beg them not to judge any new tune until they have used it in a service half a dozen times. May I hand over with a thought that I have found helpful? Nearly everyone thinks of a hymn as ‘something in the hymnbook’—meaning their familiar book. Could we have a new definition and say that, with all today’s new possibilities, a hymn is any congregational song that will enhance your Worship next week, or the week after, or in three months’ time? If it is in your book, well and good. If it isn’t, what are you and your congregation going to do about it? The words of my title are the classic description of politics. They are also true of the ordering of worship. Any responsible person experienced in the ordering of worship will know the situation where he is bound to say of a hymn ‘A fine hymn and ideally apt for this occasion, but it could not be used here today’. As ministers and as organists we live continually in a tension between the ideal and the practicable. If you do not know this tension I would say to you ‘You have not begun to understand your job’. If you do not belong to either of these groups then your presence here means that you should be fighting on both fronts, urging the ideal on those (people, clergy, organists) who cannot raise their eyes above the practicable, the comfortable, what has always been thought enough, and interpreting the problems of the conservatively minded and the unsure to those who want ‘reformation without tarrying for any’. But these are superficial points. At a deeper level the editor must know his constituency, the range of needs and accomplishment of those likely to use his book. He of course says a lot by his choice, and a comparison of the recent supplements along these lines would produce an interesting essay. Secondly, he must know what has been tried and has worked in some places and can now be commended to others. Thirdly, he must be aware of the gaps in the repertoire that most urgently need filling. If the editor must be aware of these issues, by the same token you ministers and organists must also know your constituency, its possibilities and its needs. And by ‘knowing’ I do not mean ‘guessing’. I must admit that I am often proved wrong in this: the children in my family or in the choir or in the Sunday School often prove to be familiar with things that I think they do not know. So take pains to find out. Remember that adults also hear hymns other than those they hear in church. They hear hymn-singing programmes that are broadcast while you are at church. You must be as fully aware as the editor of those other issues he faces. You must realize that some things that look impracticable to you have been tried successfully by others; and that your congregation is as much in need of the items that fill the gaps as are others. which was a sincere effort to help children face death in an age when every family would have known the death of a child. But there are others less obvious. You must be ready to refuse to sing ‘Hills of the north, rejoice’ in its original form. Similarly you must be ready to grapple with contemporary hymns, because they are related to our contemporary situations to which the classics can be made to relate only in the most general way, and because it is rank heresy to assume that the Holy Spirit ceased to inspire the Church to praise God out of the very stuff of life as it is lived in 1916 or 1932 or 1950—or whenever your hymn book came out. Granted this, we may have to take a hymn and say: ‘We need to say this in song: all we have is hymn X: therefore we must use it’. Yesterday some of us laughed at the mention of ‘God of concrete, God of steel’. It seems to me as though someone (either the author or someone talking to him) said ‘We urgently need a hymn that assumes an urban, technological society’. This hymn does that: I feel that it faces the 20th century in eyeball-to-eyeball confrontation. Can this be done more subtly? I think it can, and that it is done in the Bayly-Wren ‘Lord of the boundless curves of space’. But ‘God of concrete’ simply names things that people know about: ‘Lord of the boundless curves of space’ assumes a fair amount of general science, known to my 14-year-old son in the choir but not to most of the adult worshippers in the congregation. I am pretty confident that I know my constituency in this matter. So, in order to sing a hymn that is known to be of and for the late 20th century I need ‘God of concrete’. Editors know this too, and include the hymn. You should know whether you need it. You may not think it ideal, but we must have the theme. So either use it or get on and write something better. Don’t just sit and laugh. For unless you see hymnody in this kind of way, not as the Art of the Ideal, but as the Art of the Possible, you will perpetuate a terrible situation in which the most truly deprived group in our churches is the regular adult congregation, starved of much that may make their faith live. We often think of the needs of youth, because they are clamorous. But many adults are no longer aware of their hunger; they have got beyond that and are dully chewing on a few dry scraps, unable any longer to believe in tasty foods, and having, like the physically starved, to be brought back gently into taking something more nutritious. Most of you are in a position of power, to keep them in their deprivation. But you are also able by real sensitivity to bring them back to normal life again, in which there is a continuing healthy demand for the new.